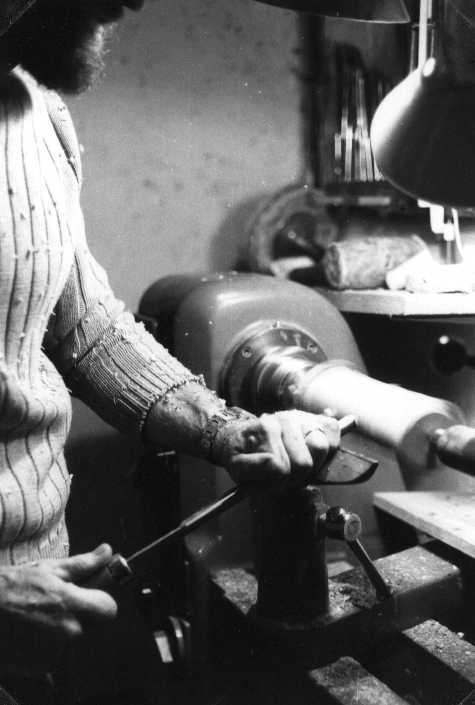 Click here to view some films made in the workshop, showing a personal view of building process.n. 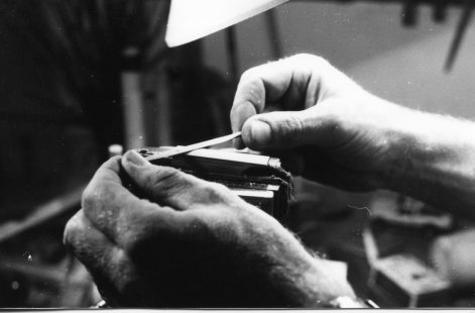 There is also a page with some short videos showing some of the steps in making the instrument. 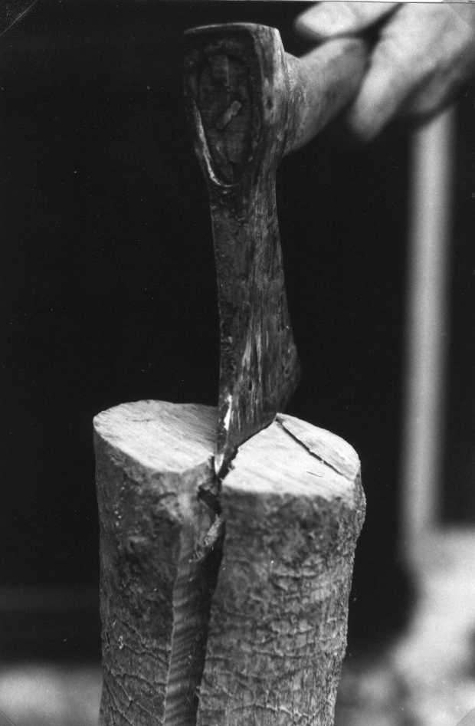 After 15 to 20 years seasoning, sometimes even more, the boxwood logs are first split to follow the direction of the wood fibres. Other woods with larger sections are sawn into squares. 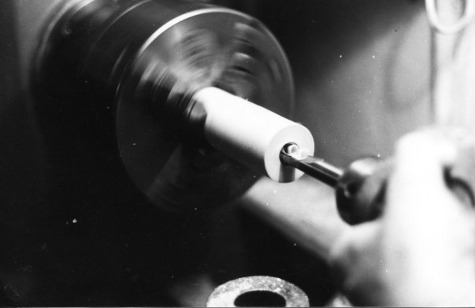 Spoon drills are used for this operation which is carried out on the lathe For better centering,the piece of wood is made to turn instead of the tool. Click here for a video showing how the recorder is bored. 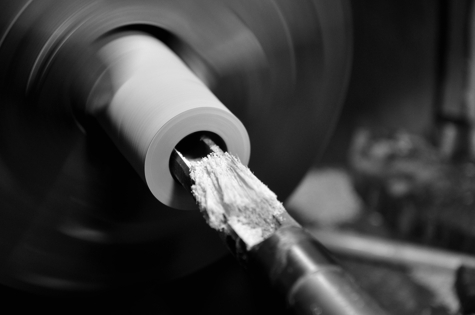 Each reamer is made to measure for one specific part of the bore, to which it gives its final shape and measurements. Click here for a video showing the reaming of the bore. 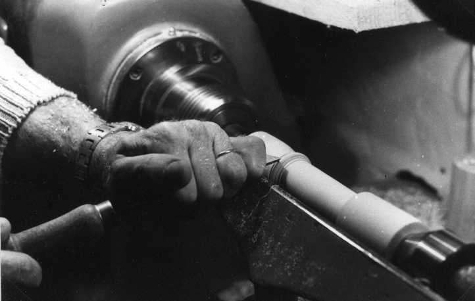 Note the conical shape of this reamer, corresponding to the inside profile of the bore. 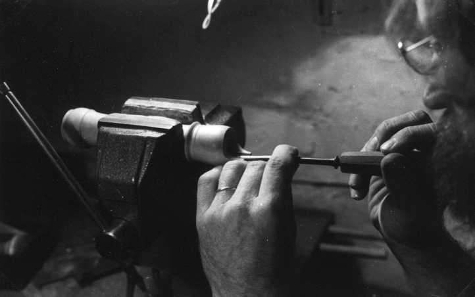 In order to ensure perfect concentricity, the instrument is fixed on the lathe by its bore. 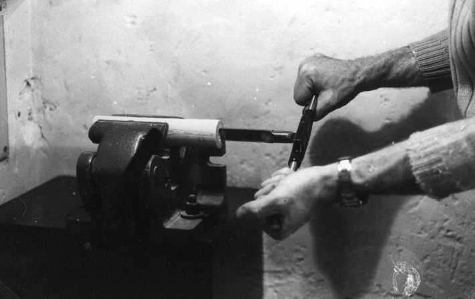 The turning is done by hand. 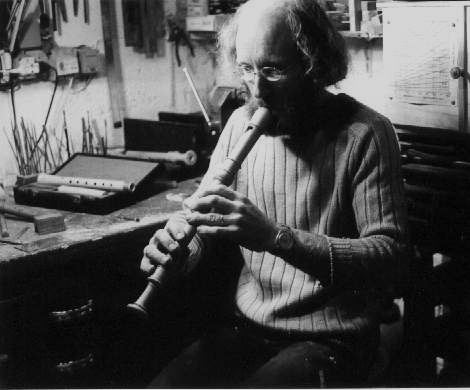 Click here for a video showing how the instrument is turned. There is a second one here. The windway is cut with great precision using this small hand-operated machine. Click here for a video showing the the windway being cut. 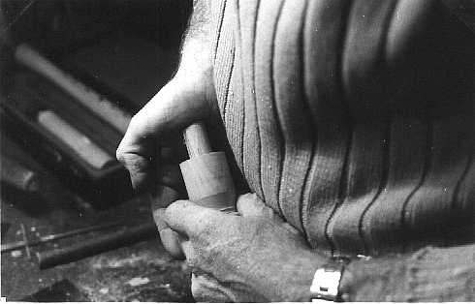 The labium is cut with a chisel. 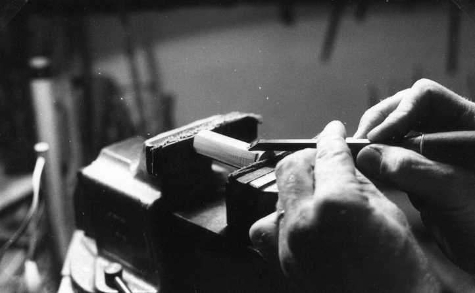 Click here for a video showing the labium being cut. 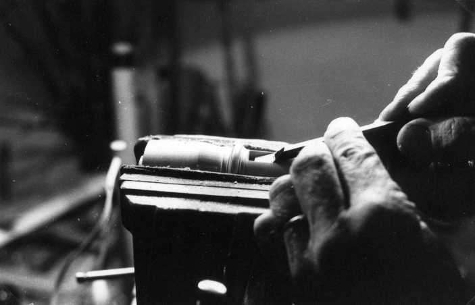 The block is carved and fitted by hand. Click here for a video showing the the making of the block. 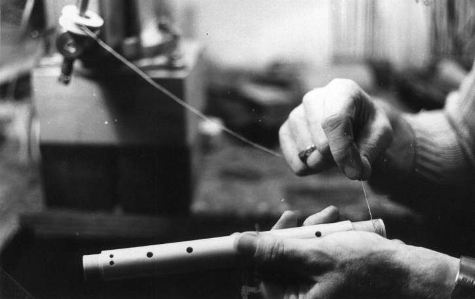 The holes are bored undersize, so that the instrument can be tuned later on. Click here ici for a video showing the positioning and boring of the holes. The layer of thread makes the instrument airtight. 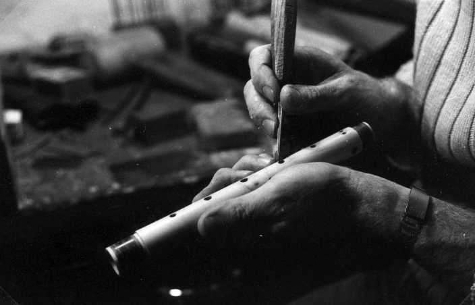 The holes are enlarged and undercut by hand until all the notes are in tune. 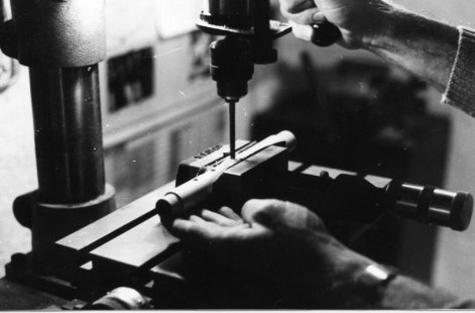 Click here for a video showing how each hole is worked on. Testing and playing in the finished recorder.